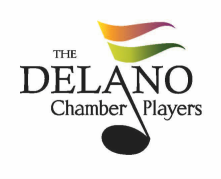 Dr. DeSpain began his duties as Music Director and Conductor of the Delano Chamber Orchestra in the fall of 2011. He also serves as Director of Orchestras for the Derby Public School district where he teaches high school, middle school, and elementary orchestras, and Director of Music for MorningStar Community Church in east Wichita. He served as Music Director and Conductor of the Friends University Community Orchestra until 2016. 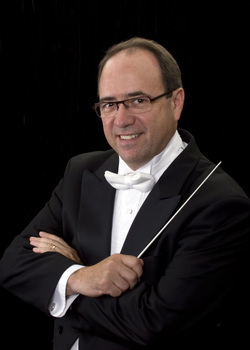 Dr. DeSpain holds degrees from the University of Oklahoma (Doctor of Musical Arts – orchestral conducting, 2010), Wichita State University (Master of Music – wind band and orchestral conducting, 2007; Master of Music Education, 1984; Bachelor of Music Education, 1983), and Baptist Bible College (Bachelor of Arts, 1982). He was E-flat clarinetist with the Wichita Symphony Orchestra from 1984-2009 and Interim Director of Orchestras at Wichita State University from 2004-2006. 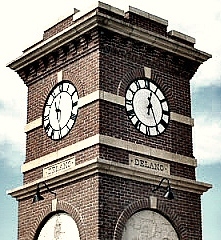 He has studied conducting with Jay Decker, Michael Haithcock, Victor Markovich, Michael Palmer, and Jonathan Shames.